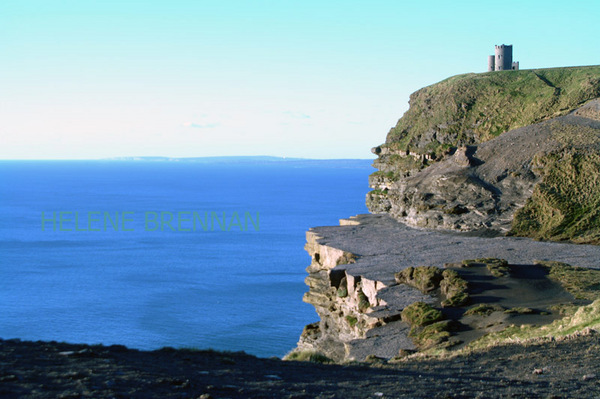 A view of the Cliffs of Moher, with O'Brien's Tower, a round stone tower at the approximate midpoint of the cliffs. Unframed, no mount (mat) for easy posting. Free post in Ireland. Different sizes may be available. Framing may be available, please enquire.